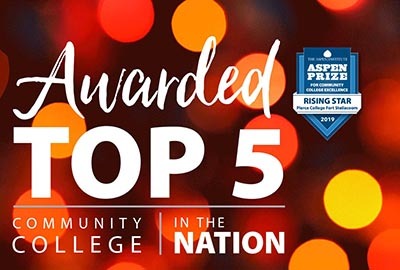 “Our progress in improving student outcomes would not have been possible without the incredible work from everyone at our college and from our board of trustees,” said Pierce College Fort Steilacoom Interim President Deidre Soileau. “Our employees have been willing to ask hard questions, use data to inform change, and to create new possibilities for students." “At every turn, Pierce College identifies and lifts barriers that stand in students’ way,” said Joshua Wyner, executive director of the Aspen Institute’s College Excellence Program. “By enacting comprehensive reforms – and measuring impact every step of the way – Pierce has improved student success at a remarkable rate."